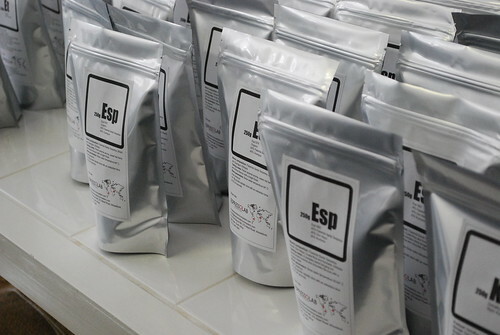 Espresso Lab is run by Portuguese origin Capetonian, Renato. They’ve got a La Marzocco GB5 and their coffee roaster is located at the back in a clean looking space. On my second visit, yes ! 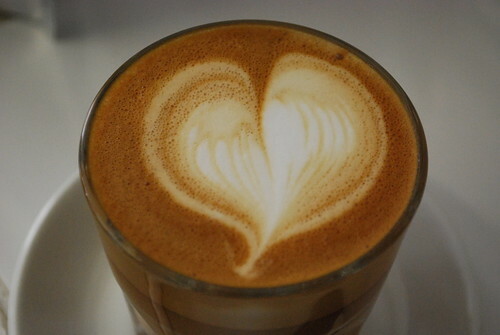 I went twice, I decided to try what seems like their signature drink, a CO or a Cortado, made using a double espresso with about equal portions of frothed milk – check out the beautifully poured rosetta heart. 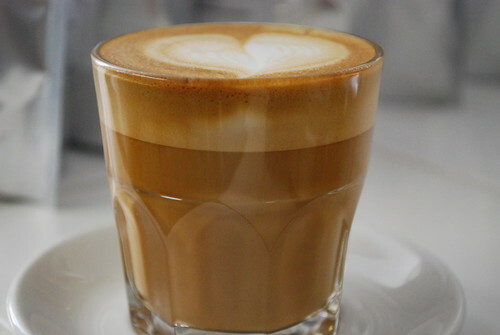 So it is really for those who want to taste their coffee with just a topping of frothed milk, as is a bit obvious from the pic below, where you can see the clear separation/layers from coffee, through milk and froth at the top. It was really nice, especially for someone like me who ideally prefers a really strong cappuccino as opposed to the usual espresso, third milk and third froth – the official description of a cappuccino. Before I left I got a couple of bags of coffee to sample but of course, but more on that next time. 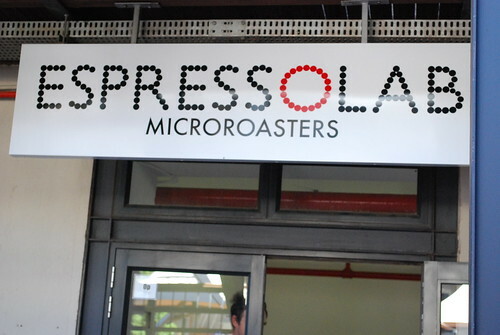 So, when in Cape Town, check out Espresso Lab Microroasters and check out their website too, http://espressolabmicroroasters.com/. This entry was posted on Friday, October 23rd, 2009 at 7:36 pm	and tagged with Cape Town, coffee shops, Cortado, espresso and posted in Bean There - Cafes, Coffee News. You can follow any responses to this entry through the RSS 2.0 feed. I manage two shopping malls in Sandton and would like to know if you would consider a coffee shop with us.